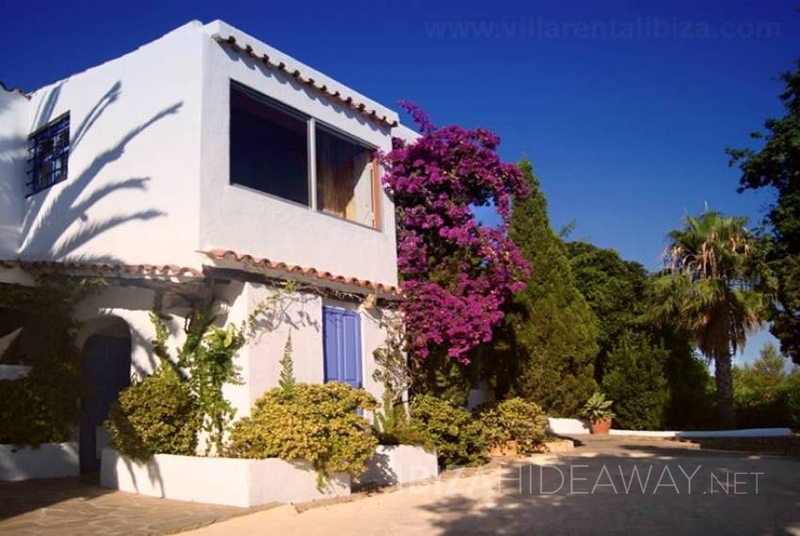 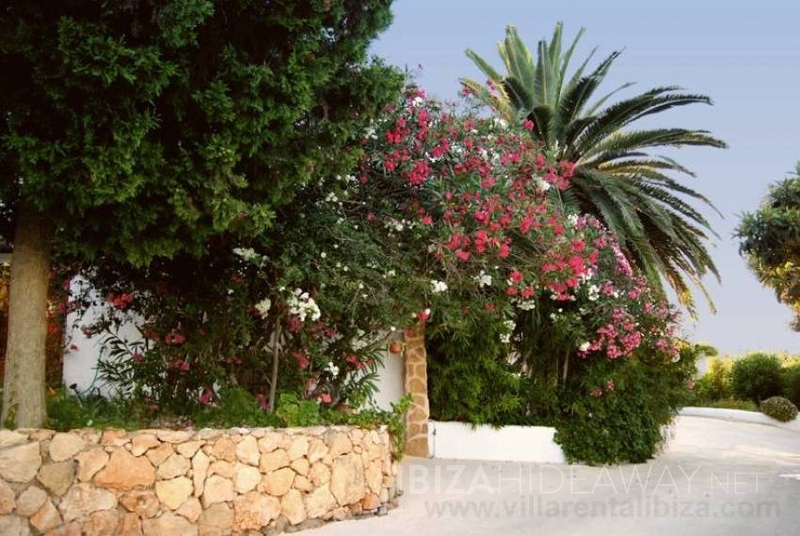 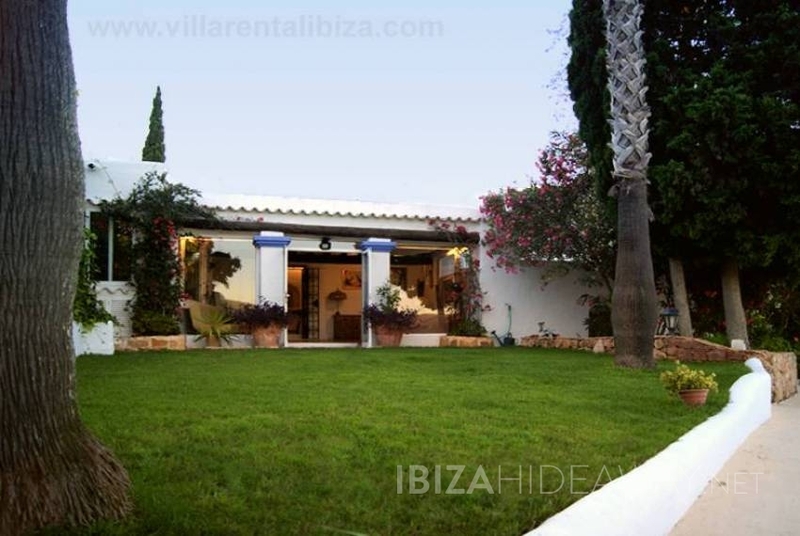 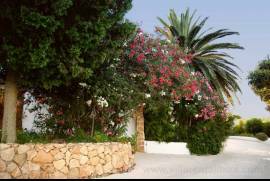 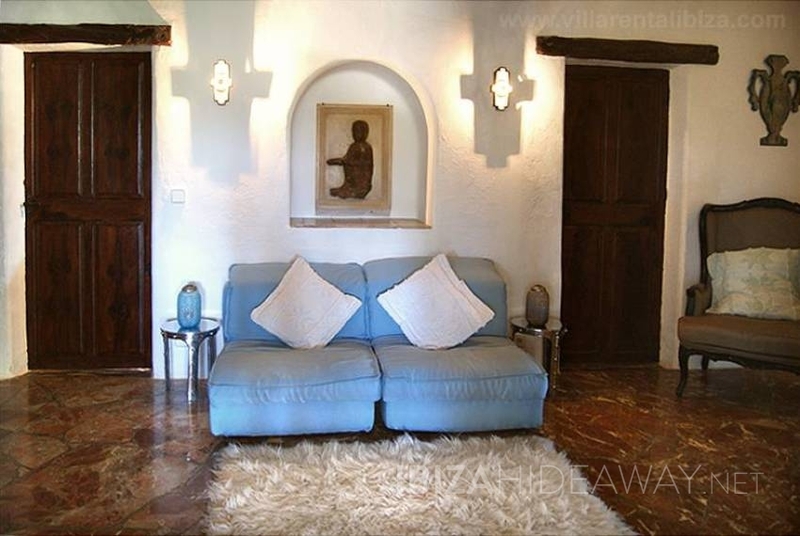 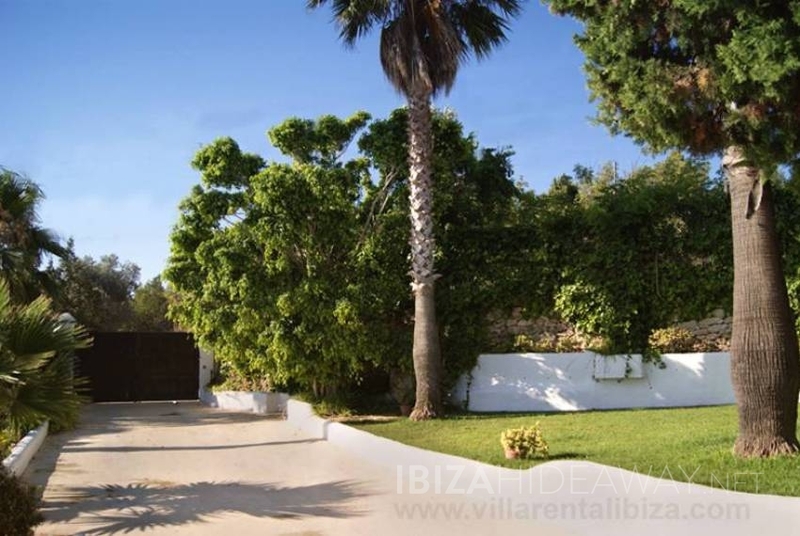 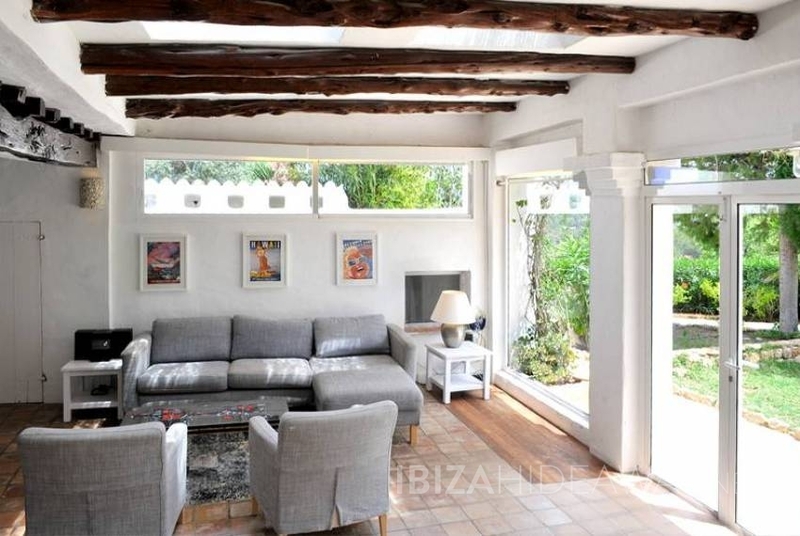 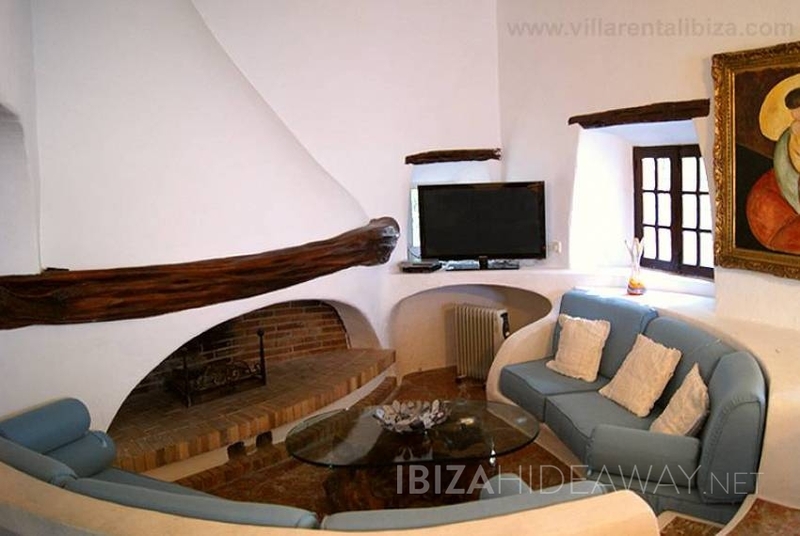 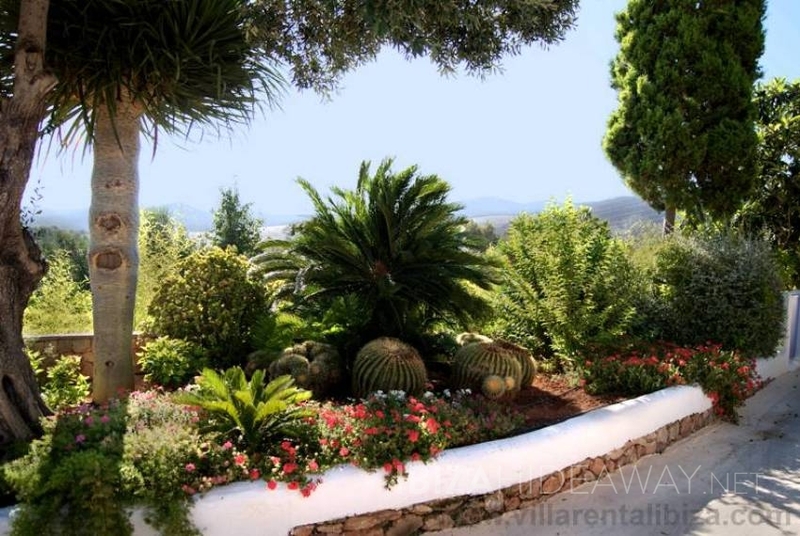 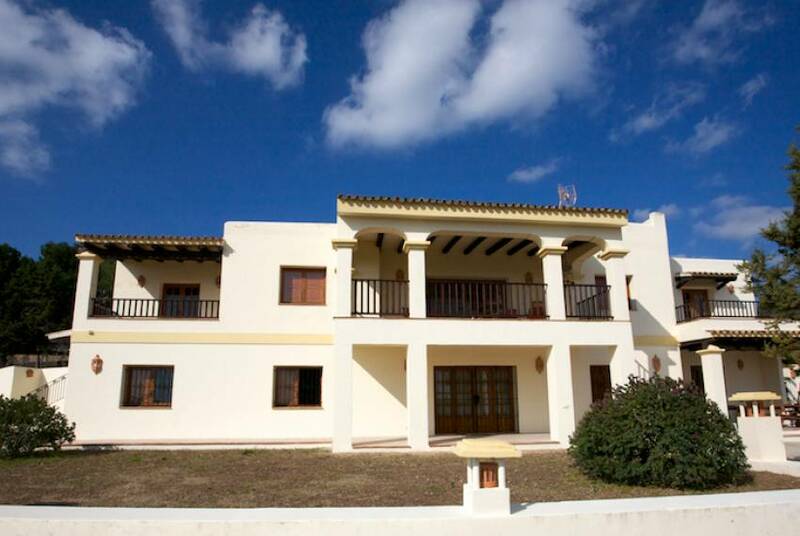 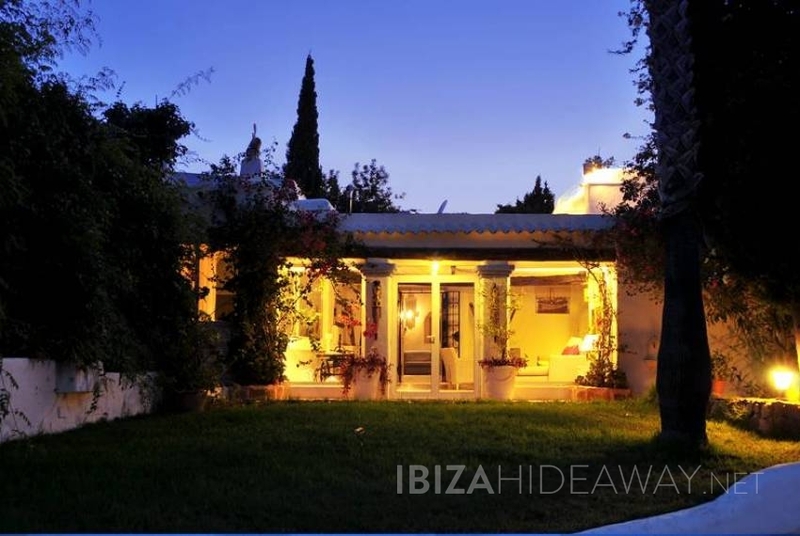 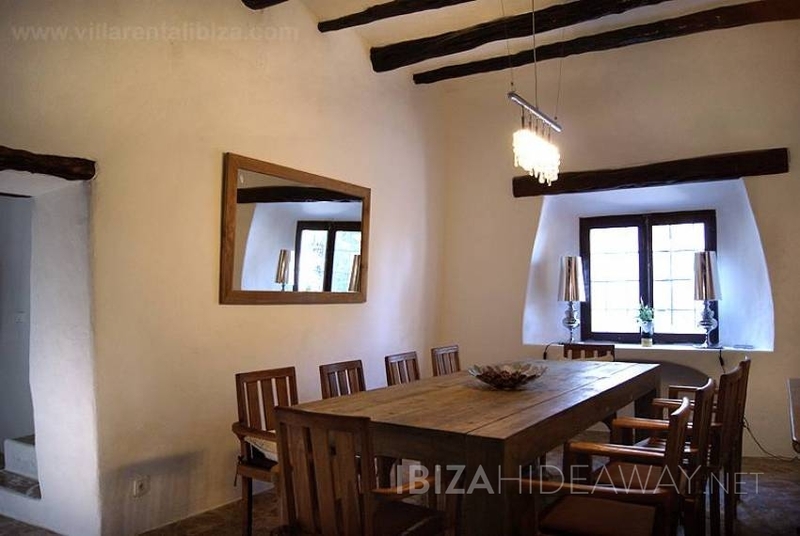 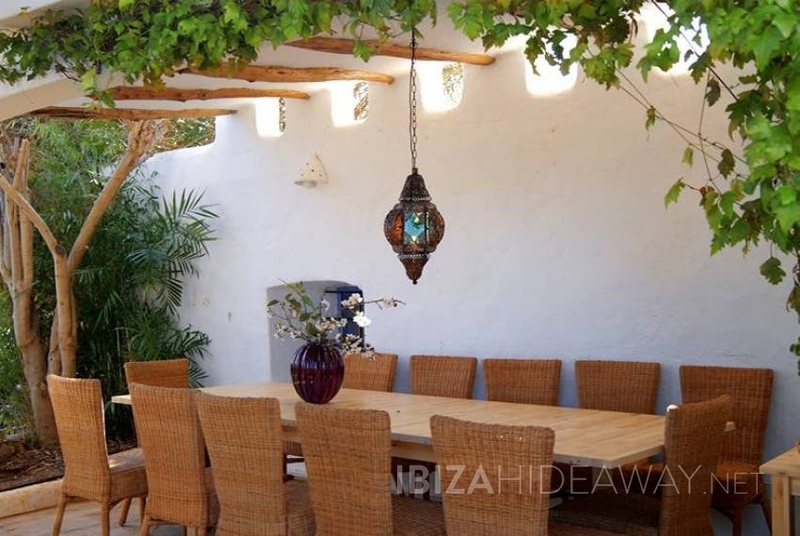 This secluded, spacious country villa is located at a leisurely drive of 5 min. from San José town and at just 15 min. drive from Ibiza town, close to beaches like Sa Caleta, Cala Jondal and all the little beaches in the southwestern part of Ibiza island, such as Cala Conta or Cala Bassa. 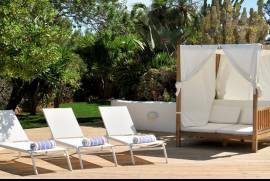 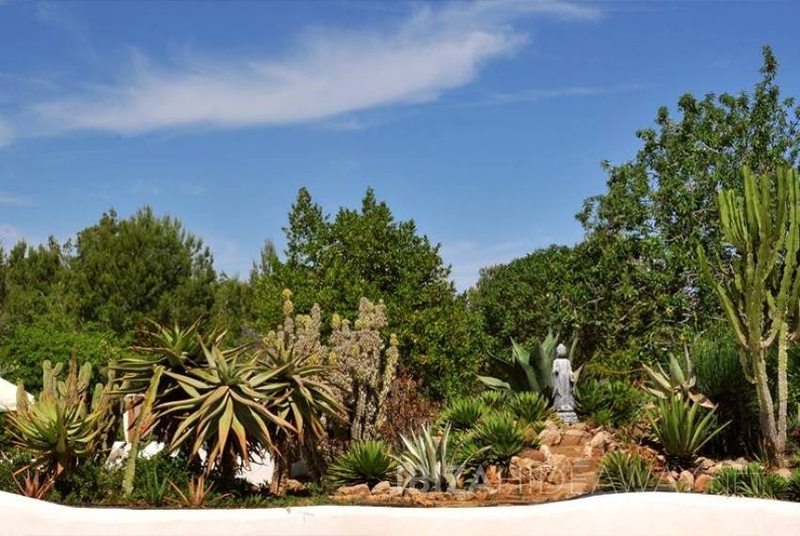 The villa is located at the end of an asphalted country road, and no traffic noise is disturbing the peacefulness of this little gem, situated in mature Mediterranean gardens of 3.000 m2 surface, full of palm trees, giant cactus plants, bamboo and bougainvilleas. 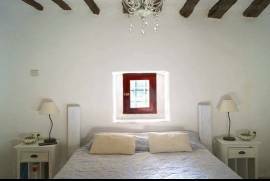 The Villa distributes into a 600 m2 main house with thick stone walls, high ceilings made of beautifully smelling sabina beams. 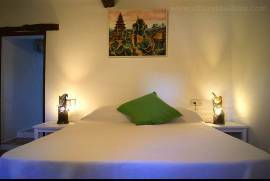 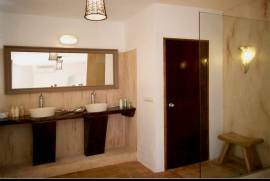 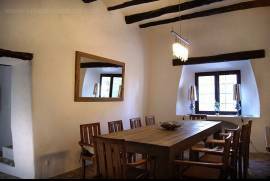 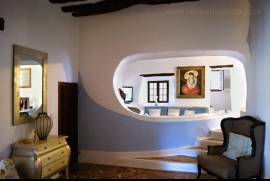 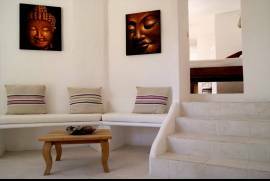 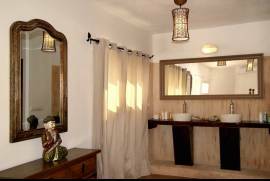 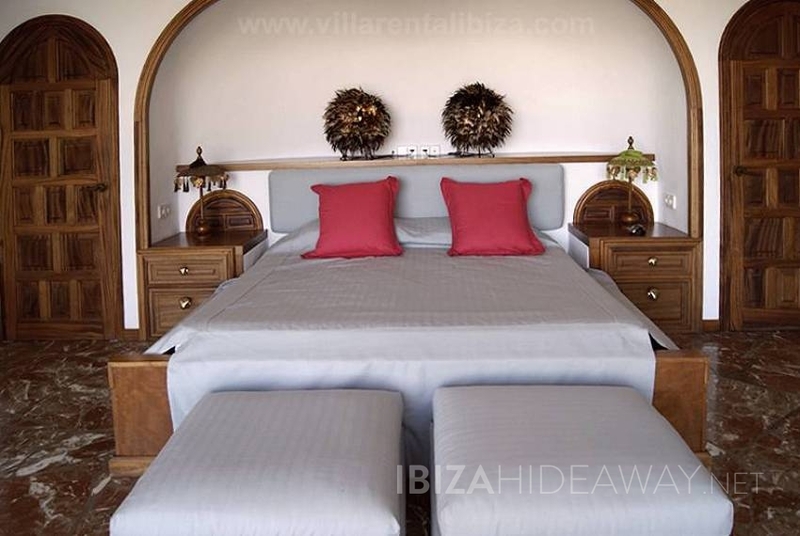 Inside the main villa there are six bedrooms (four doubles and two twins) and four bathrooms, two of them en suite. 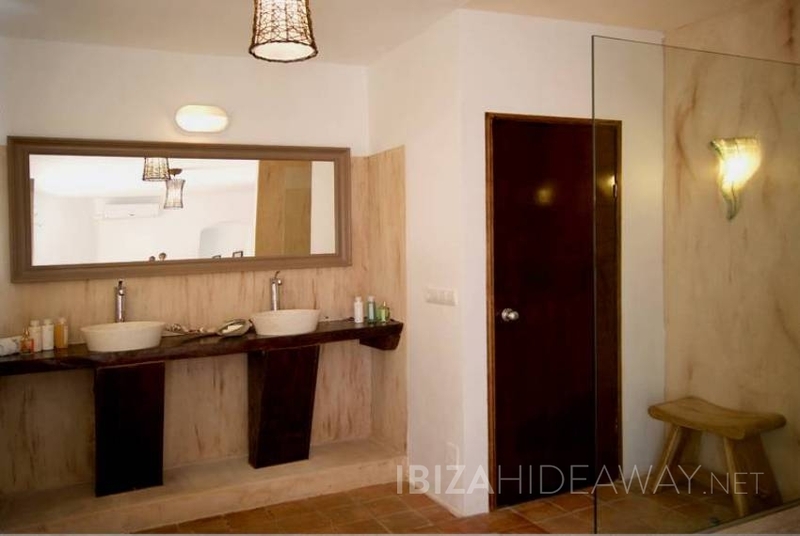 The master bedroom suite of some 50 m2 is located on the top floor of the house and disposes of a spacious bathroom with sunken bath and shower as well as a walk-in closet. There are two living areas and a separate kitchen with spacious storage room, which makes the house ideal to share for several families or groups of friends, as all parties distribute very well. Next to the main house there is an independent guest house of approx. 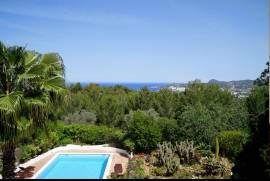 45 m2 with one spacious en suite double bedroom as well as a separate living area and two different terraces in front of the building. 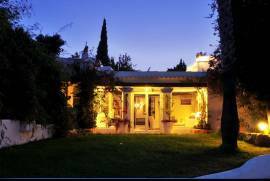 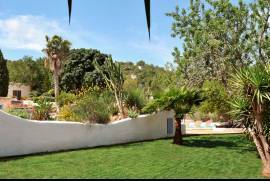 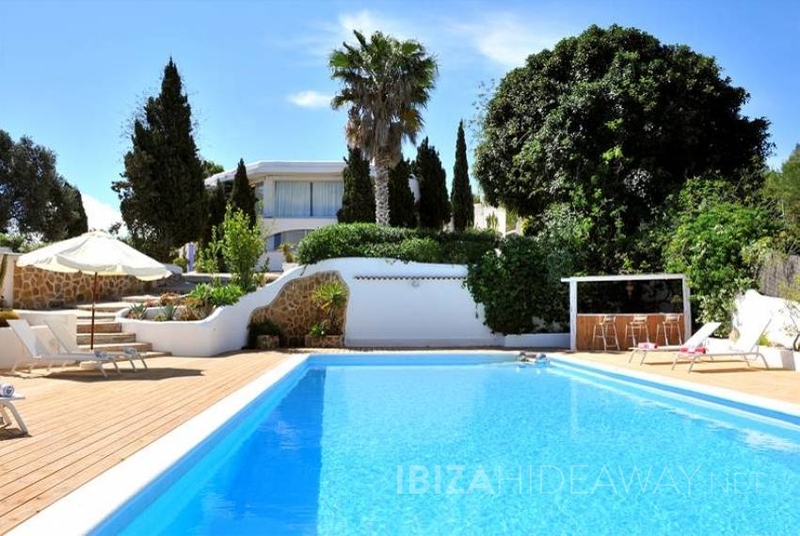 The 15 m long and 5 m wide pool is located below the house is completely gated and is safe for children. 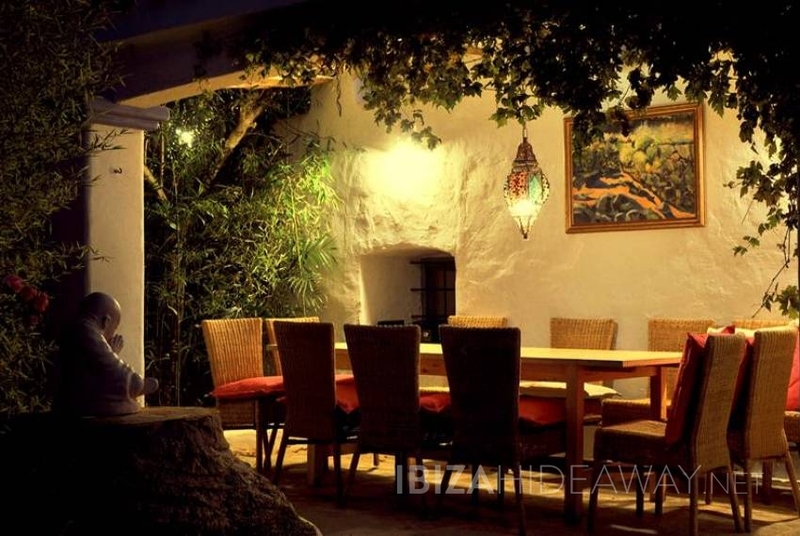 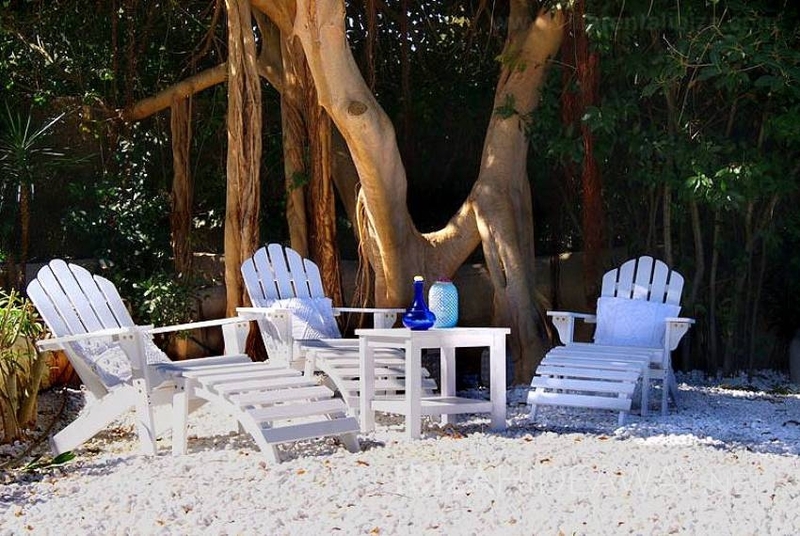 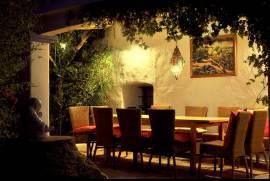 there is an outdoor dining space for up to 14 people as well as a separate lounge terrace with lovely natural shade provided by a giant Ficus tree. 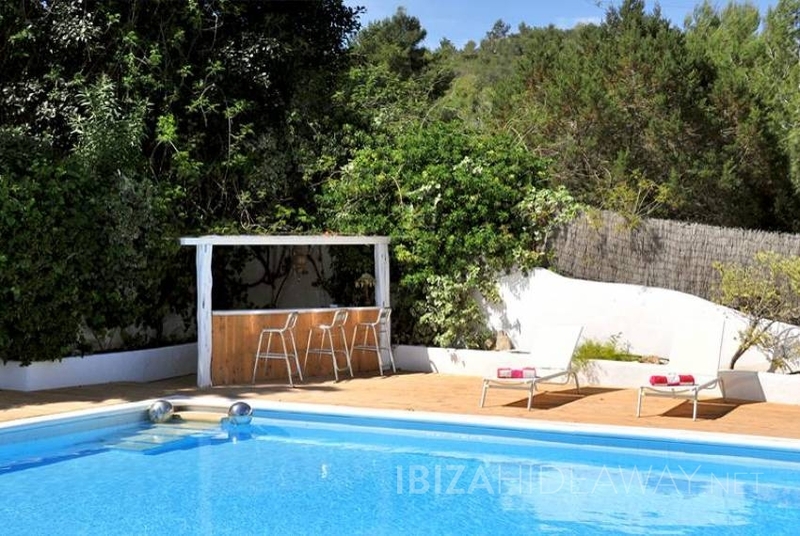 Below the main house there is a lovely orange and lemon orchard with nice, natural stone terrace and outdoor shower, perfect to chill away on a hot afternoon. 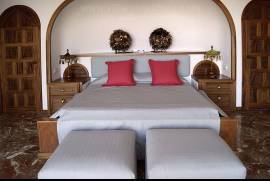 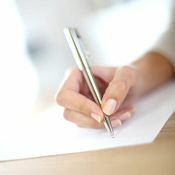 Amenities include: Satellite television (French, German, Russian, Arabic, Spanish, English), Wifi internet access. 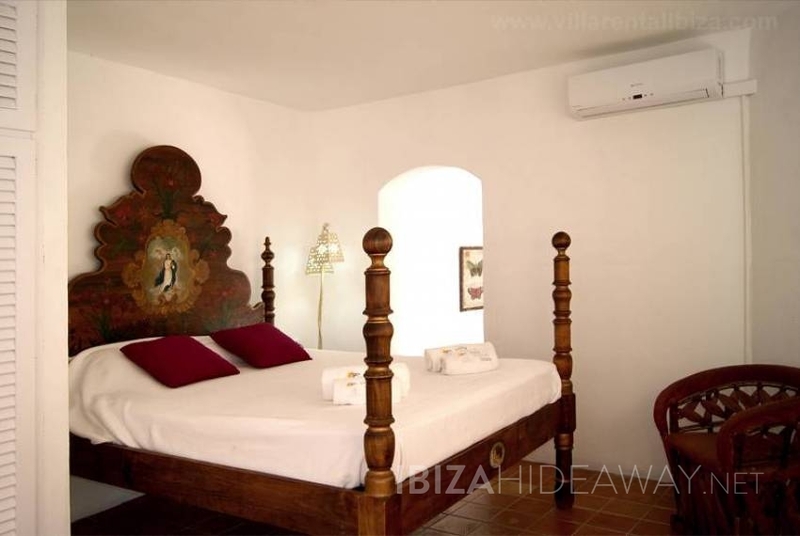 Airconditioning in some of the bedrooms. 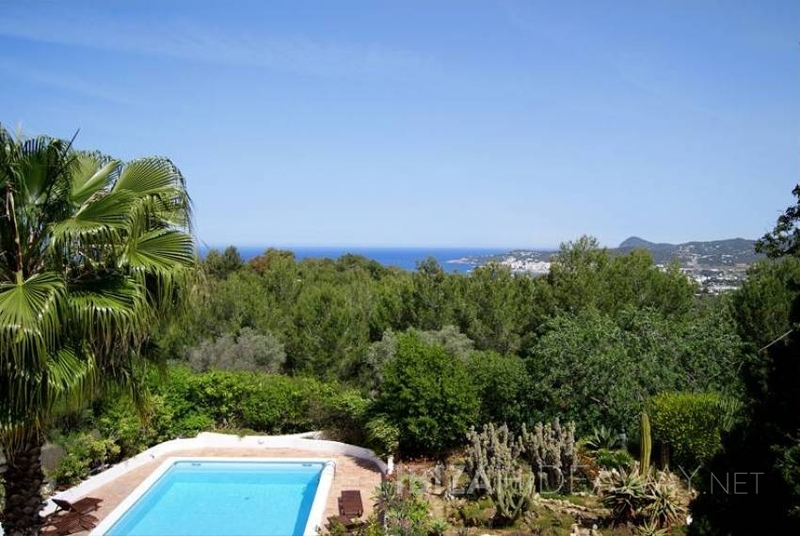 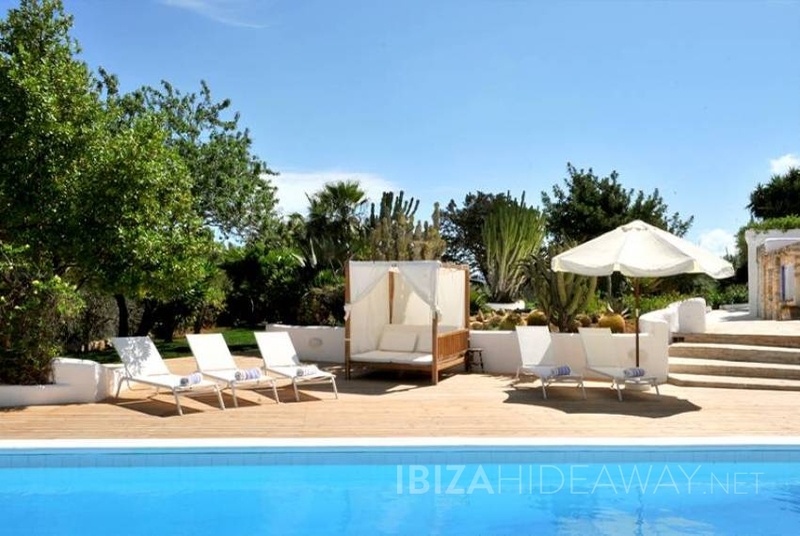 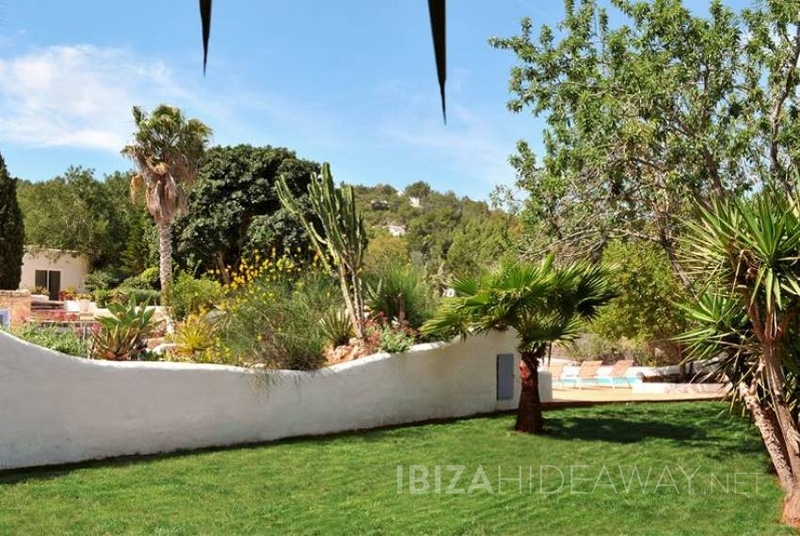 This is a newly built luxurious mansion overlooking Cala Tarida bay in the south of Ibiza and at five minutes from Cala Bassa and Cala Conta beaches. 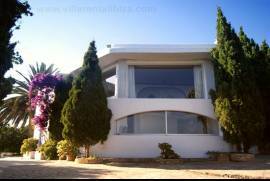 The house is built in a way that you can enjoy splendid and undisturbed sea and sunset views from every corner of it.